DEPEND - ? & ESSENCE - JUST CAN'T GET ENOUGH - Tina Rakuš. I will show you Depend nail polish which I bought few months ago.. but there is one problem - I don't know the number of nail polish :(. 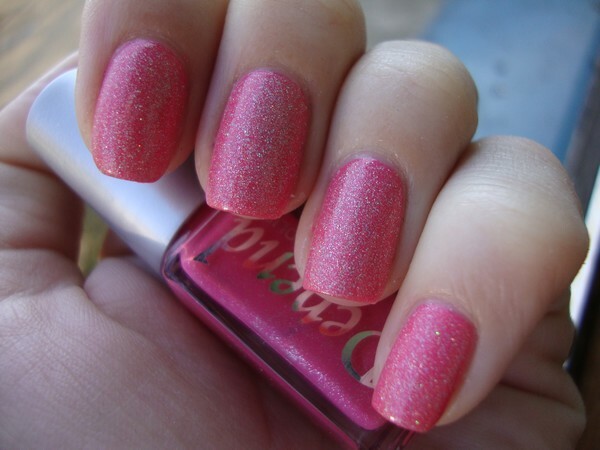 But anyway.. it's very beautiful light pink colour with silver glitter ir shimmer? Hmm.. I don't know what to write. I decided to add something on it.. and that was holo top coat from Essence - Just can't get enough.